The Stewart Creek Area Structure Plan was approved in 2004 and since then, development has been proceeding in phases. Final projects are underway in Phase 2 and Phase 3 is currently under construction. The original Stewart Creek Area Structure Plan area is located within the east side of the Town of Canmore on the westerly portion of the Three Sisters Mountain Village (TSMV) growth area, as shown on the map to the right. 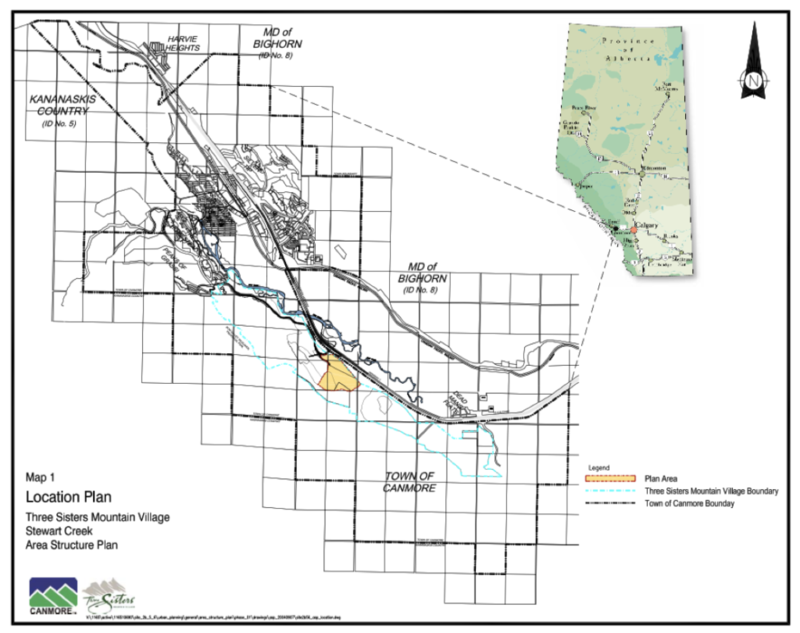 The Plan Area is comprised of approximately 65 hectares of land that was annexed to The Town of Canmore in 1991 to accommodate future development. The map below shows the land use concept approved by the Town of Canmore Council in 2004. 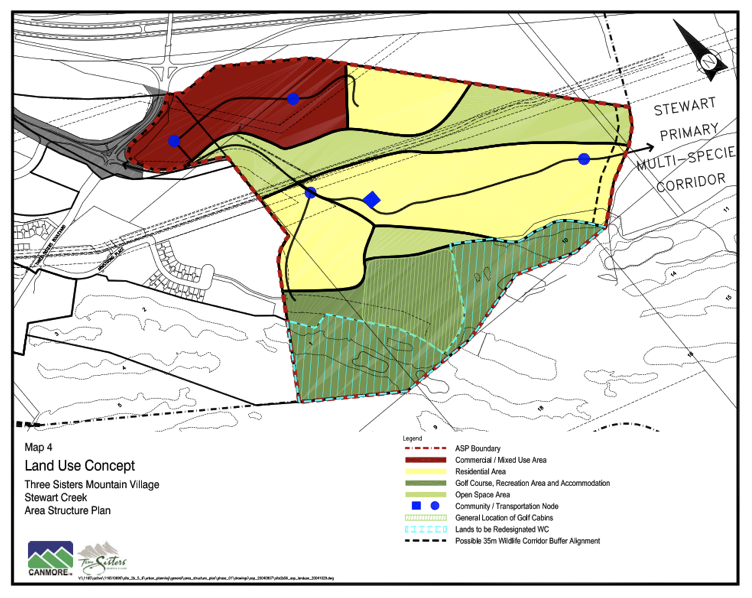 Generally, the land use concept approved in the ASP provides for a commercial mixed-use area adjacent to the Three Sisters interchange, residential areas and the golf course.